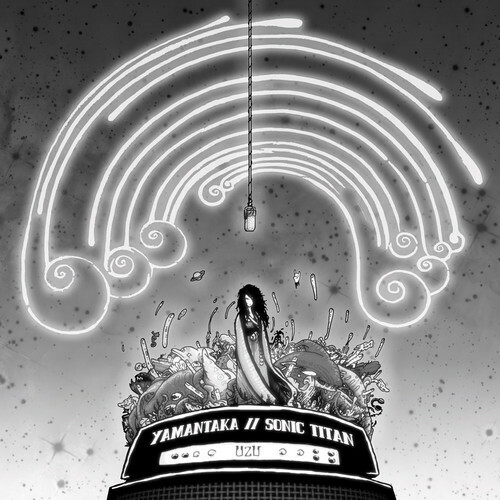 Experimental art-rockers, Yamantaka // Sonic Titan have been on radars and piquing serious interest ever since their raving 2011 debut album, YT//ST and, “Lamia,” an Adult Swim Single Series release last year. The self-proclaimed “Asian diasporic psychedelic noh-wave opera group,” is a mouthful to say, but luckily a delightful earful as well. The 6-piece group hailing from Canada describes their sound as a fuse of “noise, metal, pop and folk music into a multidisciplinary hyper-orientalist cesspool of ‘eastern’ culture in giant monochrome paper sets.” Still with us? The group says they blend “Noh, Peking Opera, Buddhist Ritual Punk, Taiko Shows, Tokusatsu, Performance Art, Rock Opera and a cardboard ‘NEVERFLAT’ style of 2.5D set design.” All of this bizarreness wrapped up in one band? You betta believe it!